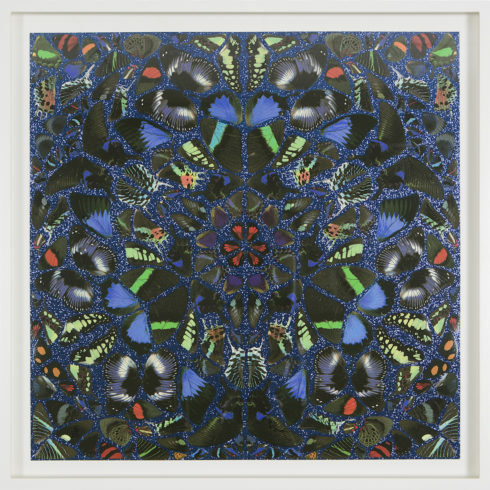 Damien Hirst, Psalm: Judica, Domino is a screenprint with glaze. 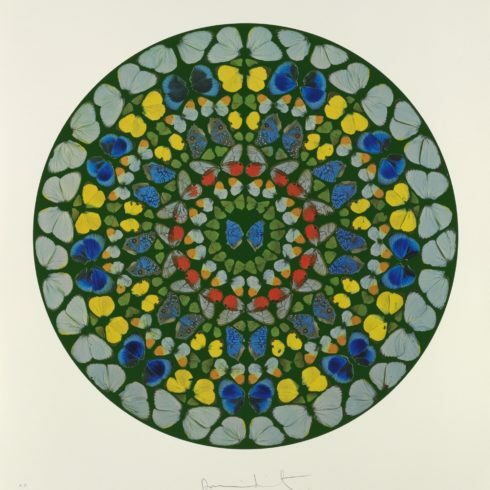 This print is signed on the front in the lower middle, numbered in the lower left from the edition of 25. 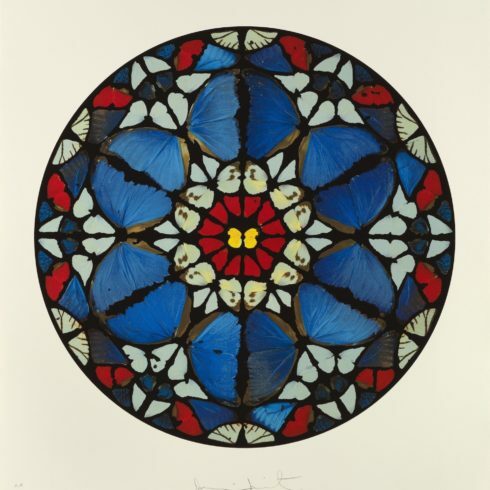 Damien Steven Hirst (born 7 June 1965) is an English artist, entrepreneur, and art collector. 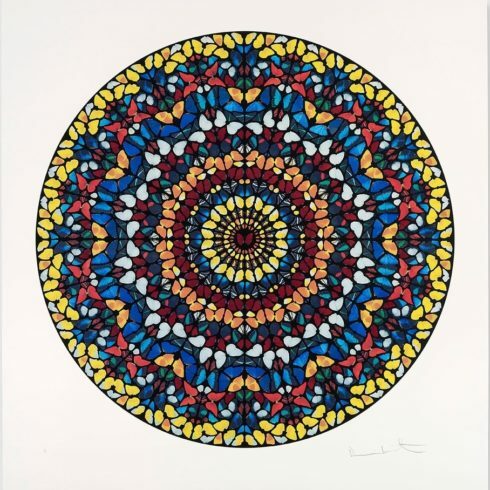 He is one of the Young British Artists (YBAs), who dominated the art scene in the UK during the 1990s. 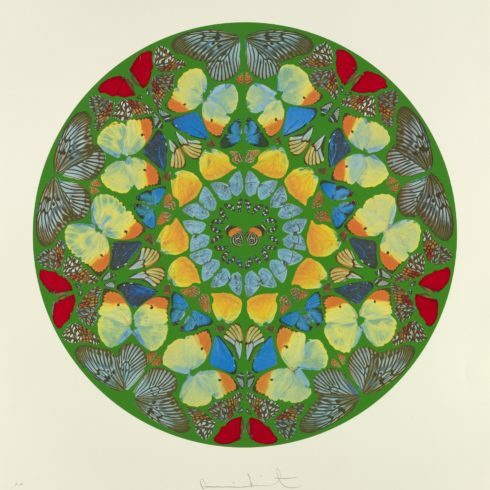 He is reportedly the United Kingdom’s richest living artist, with his wealth valued at £215M in the 2010 Sunday TimesRich List. 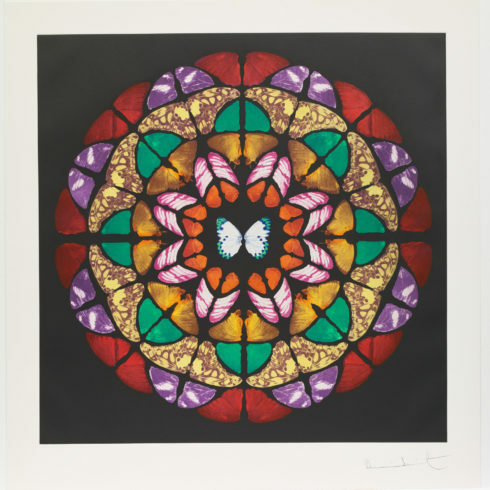 During the 1990s his career was closely linked with the collector Charles Saatchi, but increasing frictions came to a head in 2003 and the relationship ended. 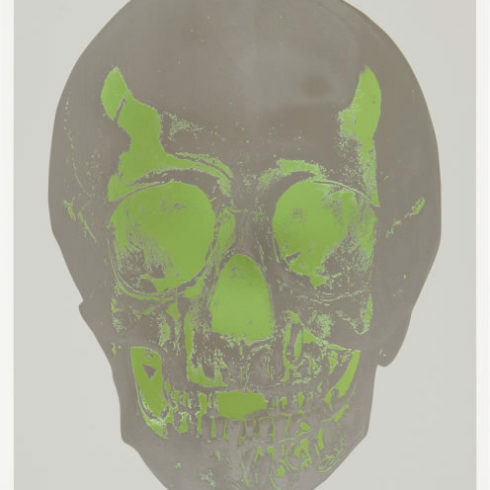 Death is a central theme in Hirst’s works. He became famous for a series of artworks in which dead animals (including a shark, a sheep and a cow) are preserved ”sometimes having been dissected”in formaldehyde. The best known of these was The Physical Impossibility of Death in the Mind of Someone Living, a 14-foot (4.3 m) tiger shark immersed in formaldehyde in a clear display case. 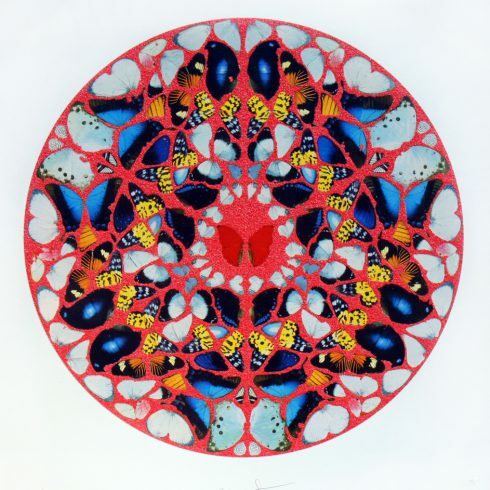 He has also made “spin paintings,” created on a spinning circular surface, and “spot paintings”, which are rows of randomly coloured circles created by his assistants.